There is no question about it. Social media has revolutionized journalism. In some ways, some would argue it allows journalists to do or accomplish what they were already trying to accomplish, except in a more time efficient way that reaches more people. Social media has made finding information about someone easier. Something that would have been awkward to ask may now be out in the open on Facebook. Ehrlich compares Facebook to a phonebook, except with photos and biographical information. Social media has other advantages apart from facilitating information. It also makes it so that journalists are no longer asking questions because people are saying what they think. In places where journalists are not allowed, people can use the Internet to broadcast their opinions or their oppression. Ehrlich mentioned Iran as an example. The most crucial aspect of the social media tool is “engagement with the audience,” said Brian Dresher, manager of social media and digital partnerships at USA Today. Social media has added the “personal” element into news. How “personal,” can be debated, but the point is that journalists and news organizations are taking advantage of these tools to connect with others. “Get readers involved with your brand, engage them with their hearts and minds and the money will follow,” the CoverItLive editor said. Dan Gillmor said there is a lot to be excited about. With this breaking away from the monopoly of information, there is an issue with ensuring the credibility of the news media as it becomes more collaborative. “We’ll have to instill throughout our society principles that add up to critical thinking and honorable behavior,” Gillmor said. He said readers and participants need to be skeptical, critically think, and go out of their comfort zones. Journalists on the other hand, need to demand transparency, be fair, fact check and be independent. I find the first and last one very hard to do with this new collaborative journalism. How can you force people to be transparent and be independent when you rely on others a lot more heavily, which is what social media facilitates? Esther Thorson and Michael R. Fancher found by using a Pew Research Center for the People and the Press study that the general audience and journalists have very different ideas about what the core values of the press should be. If the values are different, it will be difficult for them to collaborate well together. He states that though journalists through social media are influencing a larger amount of people, they are also being influenced, and that may not be a good thing. He states this can be negative because the person influencing the news could be anyone. Anyone, means anyone. Whatever your opinion may be, one thing is certain: Social media cannot be ignored. 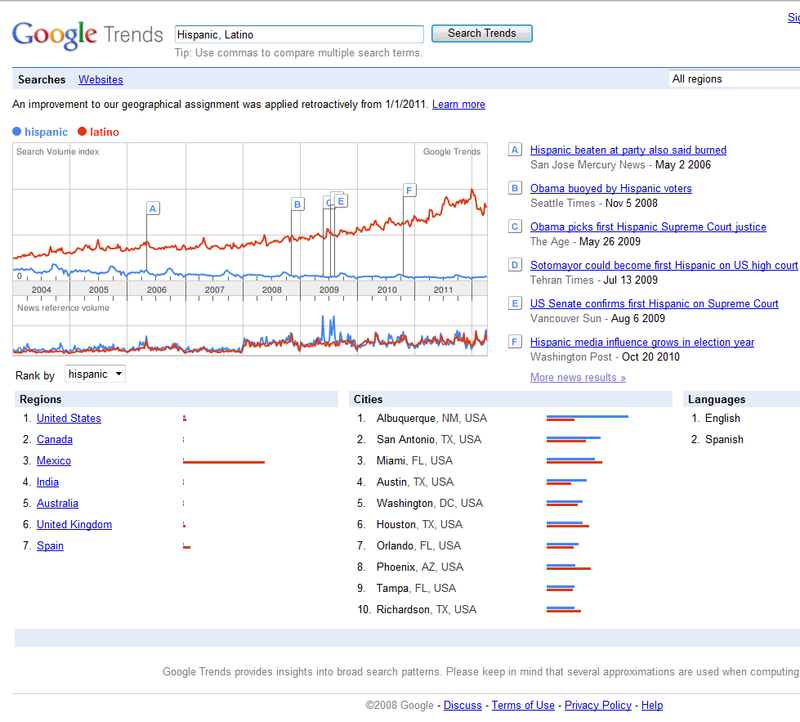 Google Trends and Google Correlate are tools that give you special insight as a journalists. They give you a peek at the mind of the reader and average person out there and what they care about or think about together. Google Trends shows what term or reference people refer when they search, while Google Correlate helps you see what people associate with each other and search patterns. These tools can help journalists not only figure out what to write about and what a “hot” topic is but also it serves as a tool to write SEO-friendly headlines that will be more likely to pop-up when the reader types a search into Google. 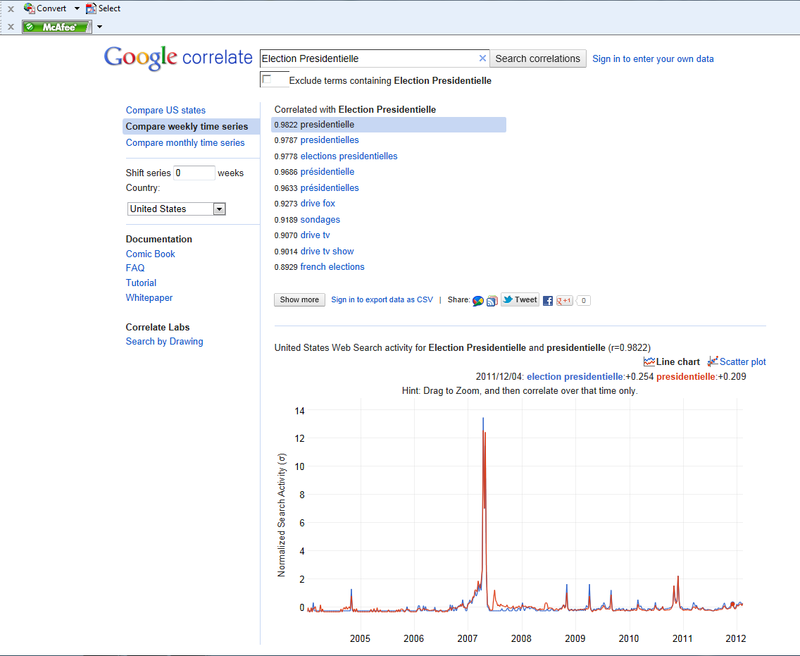 Check out my Google Trends [a] and Google Correlate [b] below. Hispanic vs. Latino in the Google search. [a] Latino is obviously a more popular term. One can see that it was especially used in Mexico and Spain. In the U.S., however, both are almost used interchangeable and at the same rate.